Sadie-ladie! That's what's up. Coach Sadie Laughlin is BACK! And what's even better than her simply being in the Charleston area? 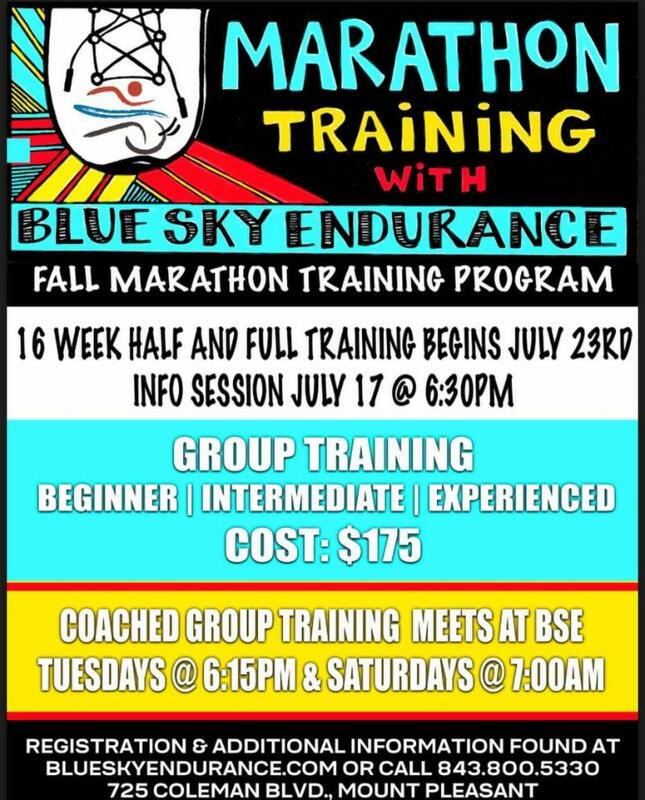 She's coaching our fall marathon and half marathon training program s.
OKay, admittedly that doesn't make sense, but why should you join us?? Unparalleled attention to help you achieve your marathon goals. 'Nuff said. A little freaked out about swimming in James Island County Park lake? No problem! 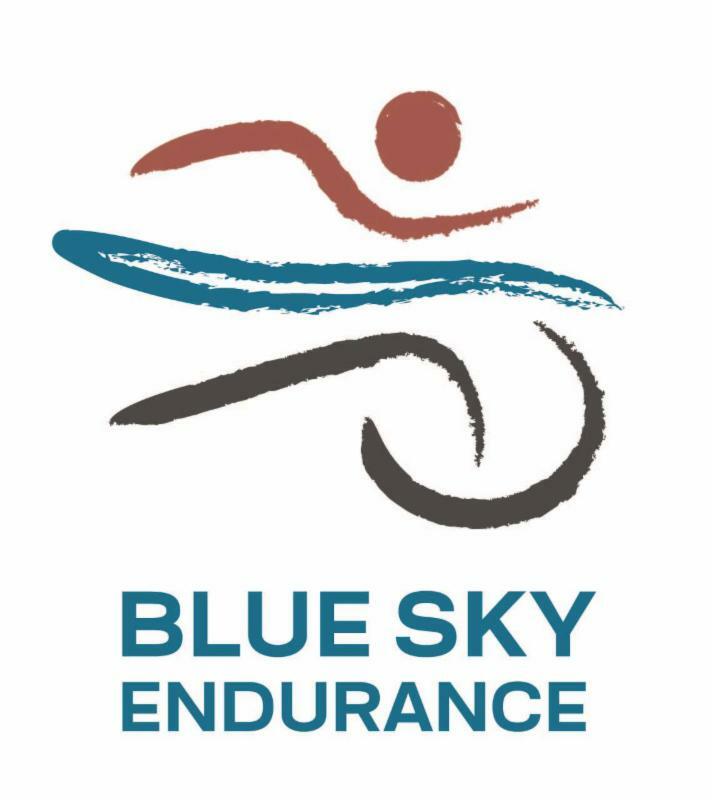 Charleston County Parks and Rec, along with Blue Sky, are hosting clinics the Monday before each race! Practice getting used to open water swimming including: sighting, starts, exits, swimming around the buoys-- Don't miss out on these great opportunities. If you live here in SC or anywhere close to the center of the Earth, you know it's really really really hot out right now. Summer heat is the price we pay for mild winters. Yes I know we had SNOW for days in Charleston this year, but work with me people. 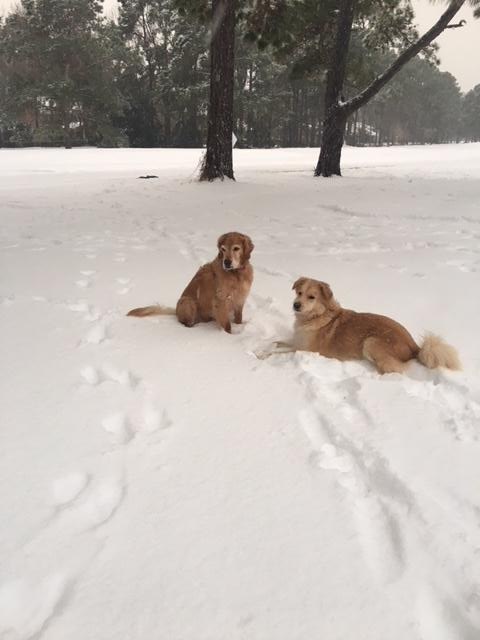 -- who doesn't love a picture dogs enjoying the snow?! How to beat the heat. It takes more than just dreaming of cooler weather to beat the summer heat, although using the mental trick of "thinking about cold things" can help you overcome the mental discomfort of running in the heat. However, there are very real physical concerns when running in summer heat and humidity. Heat exhaustion and heat stroke are life threatening side effects of running in the summer. Signs of heat exhaustion: fatigue, weakness, nausea, dizziness, and muscle cramps while inability to sweat, extremely high temperature, and passing out can be signs of deadly heat stroke. Watch out people! Wear loose, light colored clothing, and a well ventilated had or visor to keep the sun off your face and out of your eyes. Don't workout in the middle of the day - DUH! (10-3:00 in case you were wondering...). This one seems obvious but I can't tell you how many people I see running in the middle of the day. It's really very dangerous. If you choose to do that make sure you have a will....bringing down the vibe, but keeping it real. Wear sunscreen! Or you can be like me and act like a vampire -- sunrise running! We can't escape the heat in summertime, but we don't have to hate it either. Please use common sense. No workout or race is worth risking your health. If you're feeling bad go inside and cool down! "Life is only a flicker of melted ice" ~ Dejan Stojanovic -- I have no idea what that means. FIT- ISH: Semi-fit; Kinda-fit; Someone who likes the idea of being fit, but equally likes food. If you're going the ULTIMATE-direction this summer you're going to want to have hydration assistance designed "by athletes for athletes". And as the ULTIMATE experts state " The Signature Series EDC –Everyday Carry– is the fastest and lightest handheld ever. Our Vector Shape creates multiple hand position options and a cross bungee secures the Body Bottle 500 when you’re moving and releases easily when it’s time to refill or clean it out. 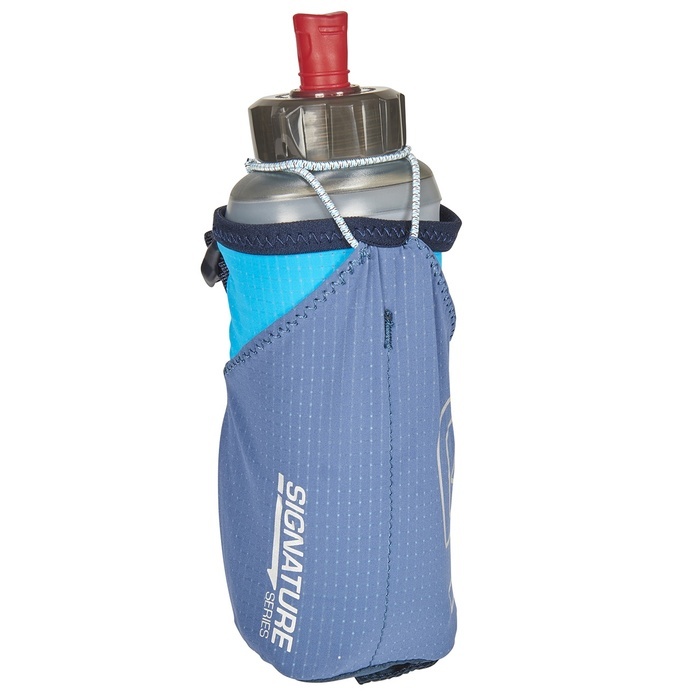 At a scant 1.3 ounces, the EDC is the first choice for runners focused on speed and comfort in their handheld bottle." Wow, they actually used the word scant! Love it, and love these handhelds and belts! Come in and check them out. It's a great way to stay hydrated in these hot summer months. Be safe out there people! Beer - okay, okay this wasn't on any list I found, however, I added it so you would listen to me. That's my mostly-scientific list of foods good to eat in the hot summer months. As a reminder I'm not a nutritionist or dietician, but I do eat food so I'm pretty much an expert. "Celery is 95% water, and 100% NOT pizza"
Lookout world, Saaed Jones is probably running to Blue Sky right now because he's the WINNER this month! Why is he the winner you might ask, can't you tell by looking at him?? 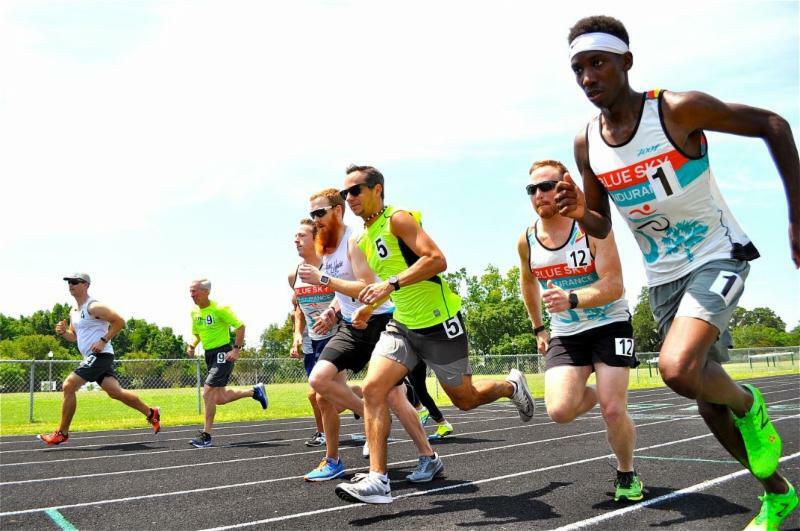 He is rocking the Blue Sky Runners Singlet at the First Annual Charleston Running Club Open and Masters Track Meet. Yes a track meet for adults! It was an awesome day and he had some pretty impressive runs. Way. To. Go. And go, and go and go and go. Stop by the store anytime in July and pick up your prize, you deserve it.
" The early bird can have the worm, because worms are gross and mornings are stupid"
RISE & RUN . Get on up and GET OUT ! You, yes you, need to join us for our early morning Rise&Run sessions. Each month I'll keep posting pictures of a sunrise we've actually experienced. 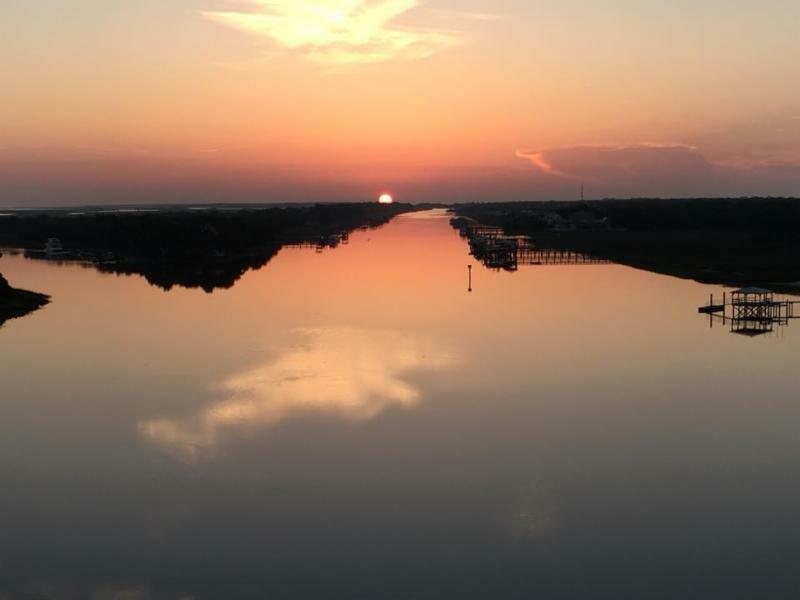 This one on the right was taken in June along the IOP Connector. Our Group Run is Thursday mornings at 5:30 or 6:00 AM, but nothing is set in stone so you never know what it's going to be! Have a preference? Make a suggestion and we'll see what we can do to run where YOU want to run. I 's a great way to see the sights, meet new people, and get in a great workout. And of course the great sunrise is a magical treat. Don't miss out! "I get enough exercise just by pushing the snooze button"